It has been a while since I have posted on this forum, but a question has come to my mind that I thought someone here might be able to help me with: I will be moving to Tennessee from Alabama sometime in the next 18 months and, before I move, I would like to visit a few lodges in Tennessee to get a feel for what it will be like when I transfer. Is there any significant difference in Lodge protocol or ritual that I should be aware of (if the question involves too great a degree of privacy, perhaps a recommended book or source to be investigated for this information)? If the Admin prefers to redircet this to the tyled area, I understand and will check there for responses. Thanks in advance for your help! My Brother....in case you've been living under a rock Masonically for a while, I should advise you that if you have no issue with LBGTQ folk, then you are probably going to have a hard time of it in Tennessee. With respect, Brother, that is not the kind of information I am looking for ... I will make my own mind up about personal/political issues. I am wondering more about differences in ritual, formal protocols, et al., as I would like to present myself as a not-too-awkward visitor to the Lodges I manage to visit. Thank you, though, for your response. Brother, if you don't mind some advice from an OES Sister. Contact your G.L. Secretary and see what you need to travel outside your state, also contact the G.L. Secretary of the state you plan on visiting for protocols within that state. It would also be a good idea to contact the secretaries of any Lodges for the best time to visit. While I have not had the pleasure of visiting lodges in either of those states, I have visited lodges in other jurisdictions and even other countries and there is really no way to get around the awkwardness of visiting other jurisdictions. Of course they will not expect you to be familiar with their ritual and won't hold it against you! If you go to a lodge where there isn't anybody who can vouch for you, you will almost certainly have to be examined by a couple of lodge members who will need to be satisfied you are qualified to sit in lodge with them. They will almost certainly ask to see your dues card and if they do not voluntarily show their dues card to you, you have every right to ask to see theirs. Don't sweat the examination. You will most likely be asked for the passwords for each degree and they may even ask you to give the Master's Word. Be sure to give it in the manner in which you received it! After that, you will probably have to put your hand on a Bible and take the Tyler's Oath (some call it the Test Oath) where you proclaim you are a true and lawful Brother Freemason. During this time, the Secretary will probably look up your lodge in a book issued by his state's Grand Lodge that lists lodges with whom they have Masonic relations. This is to make sure you are not a member of a clandestine lodge. You may also want to ask The Grand Secretary of The Grand Lodge of Tennessee give you a letter of introduction. These are usually very simple and state that you are a member in good standing. EDIT: And yes, De Darrah's advice to call ahead to the Secretary of the lodge(s) you plan to visit is excellent advice. That way you are not a complete and total stranger when you walk in the door for the first time. Other than that, sit back and enjoy yourself! Visiting other lodges is one of the greatest pleasures of being a Mason. Thank you. I have communicated with our Grand Secretary and will obtain the pertinent letters to the GL of TN before I travel (although, strictly speaking, such letters are not required). I have compiled a list of the Lodges I will most likely visit and have their contact information at hand, so I will definitely communicate with the local Secretaries before I visit. I have traveled to a few other states (Georgia, Maine, and California), so I have no trepidation about visiting; I am mostly gathering a bit of information about what to expect (for example: the Georgia lodges I visited employed emulation ritual, which is not the case in Alabama; the California lodge (Santa Monica) used different phraseology and in a slightly different order from my GL). Thank you for the advice! Just be aware that if you decide to actually join a Tennessee lodge, you will be under the jurisdiction of a Grand Lodge that is under fire from other grand lodges. Some have already dropped recognition. I am aware of California, D.C. and Belgium suspendng recogntiton of Tennessee. Does anyone know of any more? The OP states that he has obtained the necessary letters from his Grand Lodge, so, apparently that will not be a problem for him. Thank you, droche and brotherscubasteve .... as I posted earlier, these issues do not concern me unduly - I make up my own mind on social/personal issues and do not make a habit of arguing about my private beliefs. GL positions are, in the long term, political and fluid, subject to change with changing administrations and perceived needs of the body of brethren. It is of some interest, mostly academic, to observe the moves and countermoves of the various GLs as they play out their game strategies -- but my Craft is personal, not political. Yes, I was aware that the controversy had no bearing on your request. My query too was not intended to inflame the controversy. I was just interested in pure numbers, not reasons or debates. I know several members from Tennessee and they are all good men and I'm sure you will find a welcoming and comfortable setting to continue your Masonic journey there. I moved from Alabama to Maryland in 2015. My lodge laughs at me when I'll say "damn Alabama" or something like that. Since I had visited other grand jurisdictions prior to moving I was expecting differences, much like you are. The differences are beautiful and I think add to the Masonic experience. If you don't mind me ask, where in TN? I have family in the Nashville area. None of them are Masons I'm just curious. This just popped into my head (sorry for being long winded). Contact a lodge in Alabama near the TN border and I bet you'll find dual members of both states. 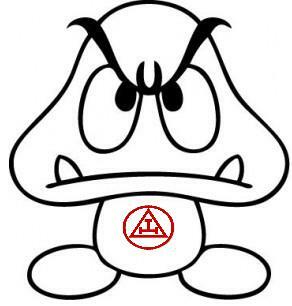 goomba: we are not certain exactly where we will end up ... we have family in Maryville, but our plan is to look further north but still along the eastern border. Thanks for the suggestion about border Lodges -- I have friends in the beekeeping world who live along the AL/TN border and may know of a Lodge or two in their area. I will check that out. I am aware of California, D.C. and Belgium suspending recogniton of Tennessee. Does anyone know of any more? The OP states that he has obtained the necessary letters from his Grand Lodge, so, apparently that will not be a problem for him. For the record, The Grand Lodge, Free and Accepted Masons of the District of Columbia, has *NOT* suspended recognition of either the Grand Lodge of TN or the Grand Lodge of GA. I am speaking as the Secretary of two constituent Lodges, relating exactly what I have been told by our Grand Secretary, MWB Jeffrey D. Russell, PGM. Then Grand Master Kenneth D. Fuller suspended fraternal relations, but not recognition. What does that mean? It means if an INDIVIDUAL brother from either of those two states, without 'Grand' in his Masonic title, wishes to visit a Lodge in DC (and vice versa), then that can still happen. What cannot happen at this point, is a Grand Lodge officer visiting (in either direction) or an official delegation of a Lodge, headed by their WM or his designate. THAT is what DC suspended, not recognition. Understood. I only offered it because I've been given to understand that some within the Grand Lodge of Tennessee have moved to silence brothers who show support for LBGTQ folk under penalty of Masonic suspension or expulsion, so I wanted to advise to be careful on what you speak about....which you have responded that you do already, so no harm no foul. Thanks for that explanation. I never thought about the difference in degree of sanction .... interesting. Circumspection is an early lesson .... and a most useful one at times.